Bangladesh is a South East Asian country of the world. The language in which the people of Bangladesh talk is known as “Bangla”. The majority of the Bangladeshi people speak in Bengali language. This Bengali language is the first language of about 98% people of the whole population. There are various castes and regions in Bangladesh; they have their own regional language also. But Bengali is the main language that is used overall the country. In this language, the people of Bangladesh express the feelings of their heart. 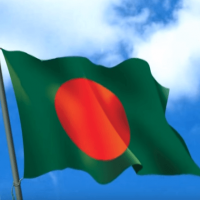 What is the Official Language of Bangladesh? ‘Bangla’ or ‘Bengali’ is the official language of Bangladesh. But one may surprisingly noticed that there are a great varieties of Bengali language and some other Regional languages also in Bangladesh. English is the second official language of Bangladesh. Example of Bangla – The main language of Bangladesh. Bangla: Tumi Kemon Acho? – তুমি কেমন আছ? Bangla: Tomar Nam Ki? = তোমার নাম কি? English: My name is Marzuk. Bengali is the seventh positional language which is mostly spoken native language and the 23rd official language in the world. 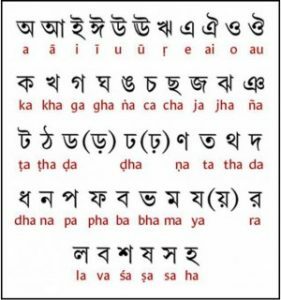 Bengali language is emerged from the Sanskrit as well as Magadhi Prakrit language at about 1000-1200 AD and it is known as an Indo-Aryan language. After having much transformation the Bengali language has reached today’s form. The half of the Bengali vocabulary is the modified form of the Sanskrit language. In Bengali language, a great use of various foreign languages can be seen like Persian, Arabic, and English etc. “Khoda”, “Hafez”, “Tarikh”, “Kolom”, “Bonduk”, “Television”, “Telephone”, “Video”, “Radio” etc. various foreign words now have become a part of the Bengali language. The latest form of Bengali language comes from the dialect of the Nadia region and it has been transformed during the 19th to the early 20th century. To get this Bengali language as an official language, many lives have been sacrificed. In 1952, we received a political movement regarding the Bengali language to make it free from the evil clutch of the then dominating Pakistan. This movement has catalyzed the arrival of the new language in the world history namely “Bangla” after bloodshed. This movement and its subsequent struggles gave the Bangladeshi people an inspiration to prevent Urdu from being the state language of Bangladesh, which was then called East Pakistan. The then Pakistani government tried much hard to make the Urdu language as the official language. But it is true that as the Bengali people speaks in Bengali language; they express all their joys, sorrows, happiness, and sufferings in this Bengali language. So it was never possible for the Bengali people to take another as the main official language. The people had a love and affection for their own language. So this love inspired them even to sacrifice their own lives to keep the dignity if the language. After that the Bangla was achieved as the First language of Bangladesh. International Mother Language Day is ’21 February’ has been being observed since 2000 to promote peace and multilingualism. The date corresponds to the day in 1952 when students from the Dhaka Medical College (DMC), University of Dhaka (DU), Jagannath University (JU), demonstrating for the recognition of ‘Bangla’ or Bengali as one of the 2 national languages of East Pakistan (Now Bangladesh), were brutally shot dead of Rafique, Salam, Jabbar, Barkat, Shafiur and few others by Pakistani police personnels under the ruling government of Pakistan near the Dhaka Medical College in Dhaka. Bengali language has two different literally style. One is “Shadhu vasha”, and the other is “Chalita vasha”. Shadhu vasha is the elegant and traditional style which is based on the 16th century middle Bangla. On the other hand, Chalita vasha is modern style which is easier to use than the Shadhu vasha. So Shadhu vasha is not suitable for the communication of any institution now a days and Chalita vasha takes the place. People always want to talk in an easy style. So as the “Chalita vasha” is much heavier, so this heaviness has turned into a threat of its own existence. The difference and change between these two styles is not very deep. They are slightly changed and modified. If one goes through the vocabulary, one can find that the vocabularies are so close and not so different. The main change is in the verb and the pronoun. Otherwise the rest of the words are somewhat same. Chittagonian language is used in the Chittagong city and the south parts of Bangladesh. Sylheti language is used in mainly Sylhet and some northeast sections of the country. 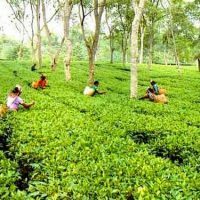 Khasi is spoken by the Northern Mymensingh people. Assamese, Pnar, Mundari, Santali are spoken by the minority people of the Rangpur district. Chakma, Hajong, Garo, Shendu etc. are used by the very minority persons of the Chittagong Hill Tracts regions. Noakhali language is used in Noyakhali, Feni, Laxmipur and part of Chandpur and Comilla. Many of the tribes have already forgotten their own language and at present they talk in Bangla only. This difference of the languages has added an attractive variation in Bangladesh. Is there any language problem for a tourist? A tourist does not require to learn Bangladeshi language to travel Bangladesh. A little learning may be comfortable for the travelers but it is not totally very important. As here English is also used, so the foreign people may not face much problem. 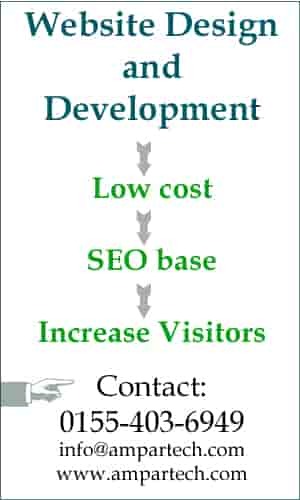 In addition, a tourist can manage a tourist guide to visit any tourist spot for exceptional services. If anyone wants to learn this Bengali language, there are many educational institutions where there are various courses to learn Bangla to speak with Bangladeshi people directly. It would be a good idea for a foreign businessman or NGO. Some universities like Dhaka University, there are courses in where people from abroad can easily learn Bangla and can be close to the hearts of the Bangladeshi people. In Bangladesh, English takes the place of the second most talked language due to the English colonization and for this reason also that English is the prime language of the whole world. As English is an international language, so it is the second official language in various offices or institutions. 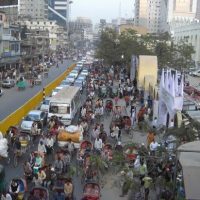 Besides the official Bengali and English language, there are various spoken dialects of Bengali language can be found in Bangladesh. This variation has been created due to the various regions and castes of Bangladesh. 1) What is the official language of Bangladesh? 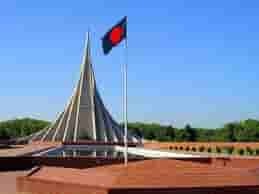 2) What is the Official Foreign Language of Bangladesh? 3) How many Languages in Bangladesh? – There are about 38 languages in Bangladesh..